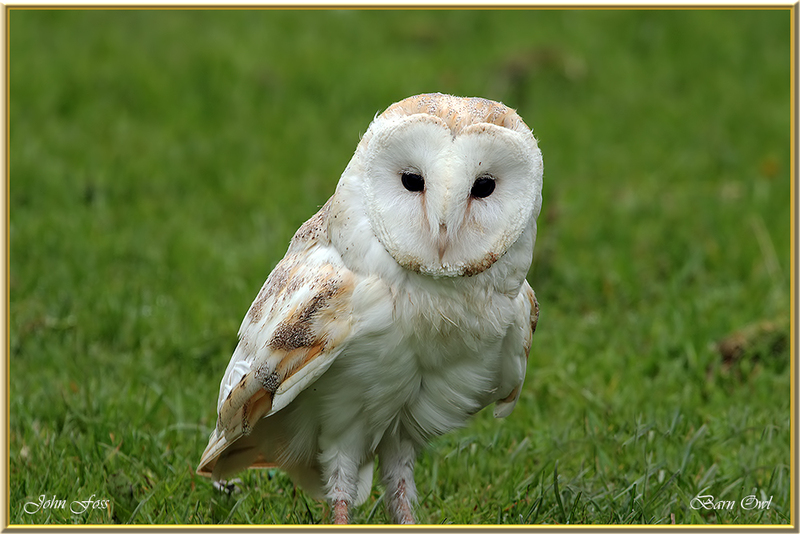 Barn Owl - The barn owl is the most widely spread owl. It is present in most parts of the world except arctic regions. It is now red listed due to a vast decline in the breeding population because of changes in farming practices. It hunts for small mammals which it detects by sound. 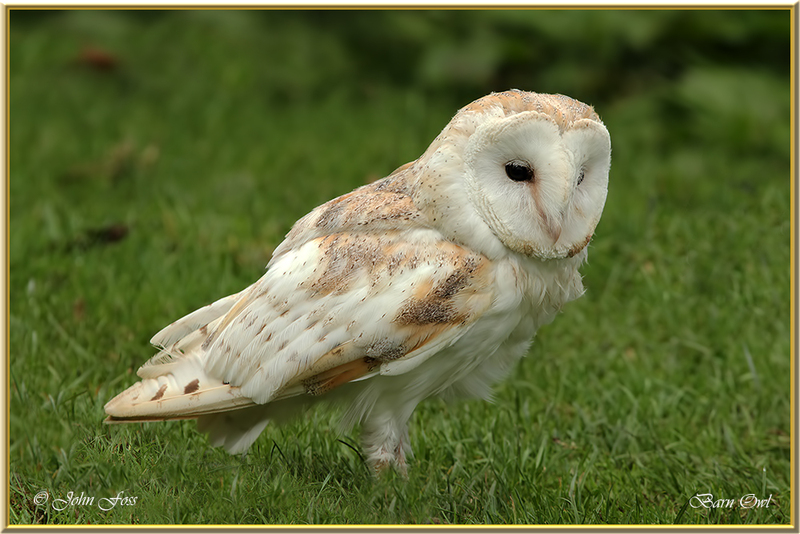 It is mainly nocturnal, but sometimes can be seen hunting in the day around Britain. 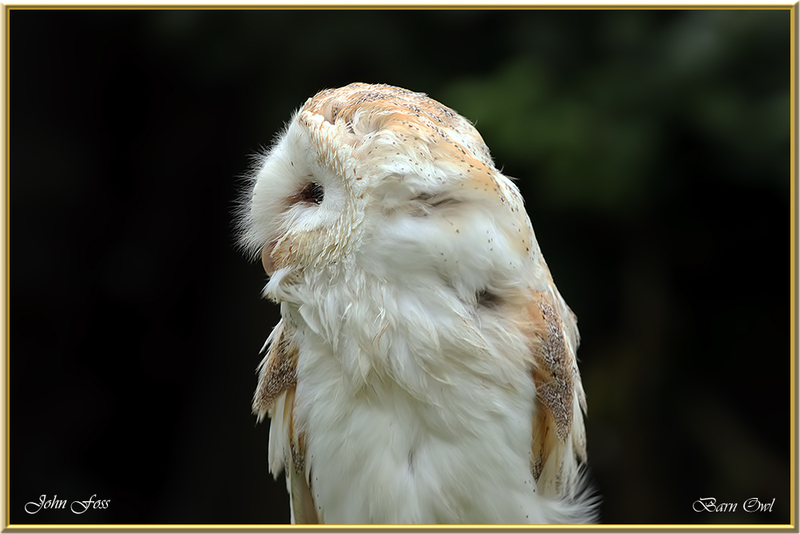 The familiar heart shaped face is made up of stiff feathers which help it detect its prey by sound. It glides absolutely silent but is unmistakable as it appears pure white in flight. 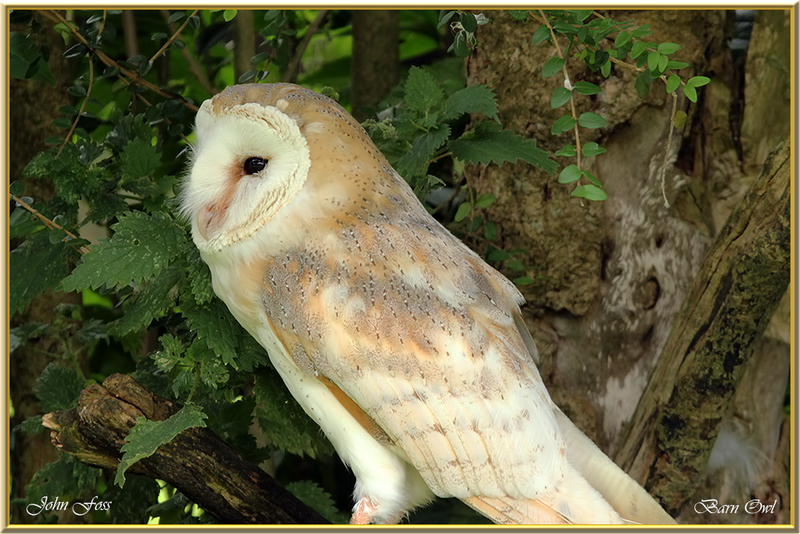 The barn owl mates for life unless one of the pair dies.